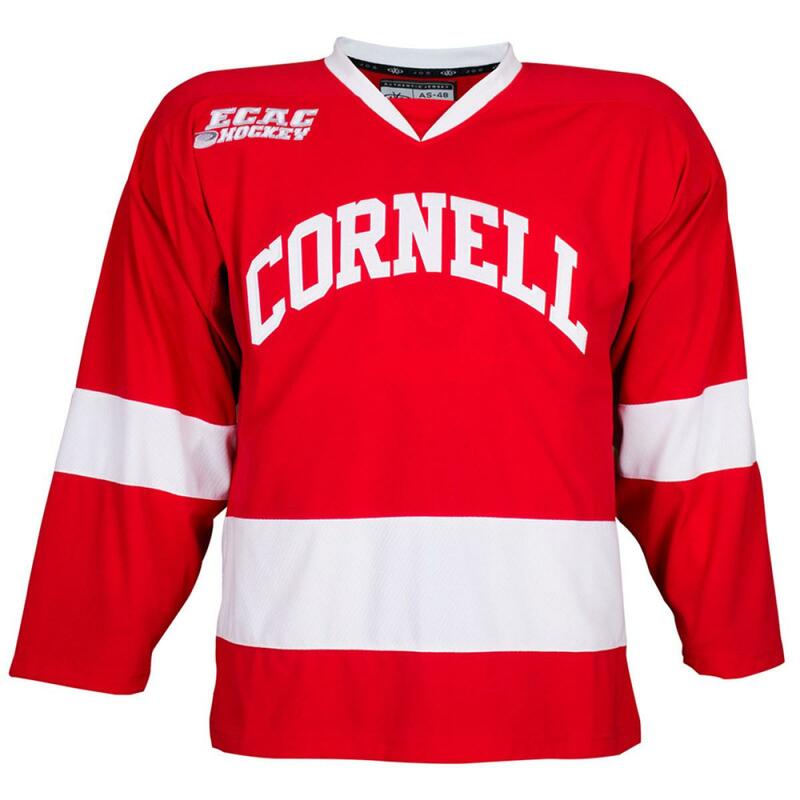 Show your Big Red colors with this white hockey jersey. 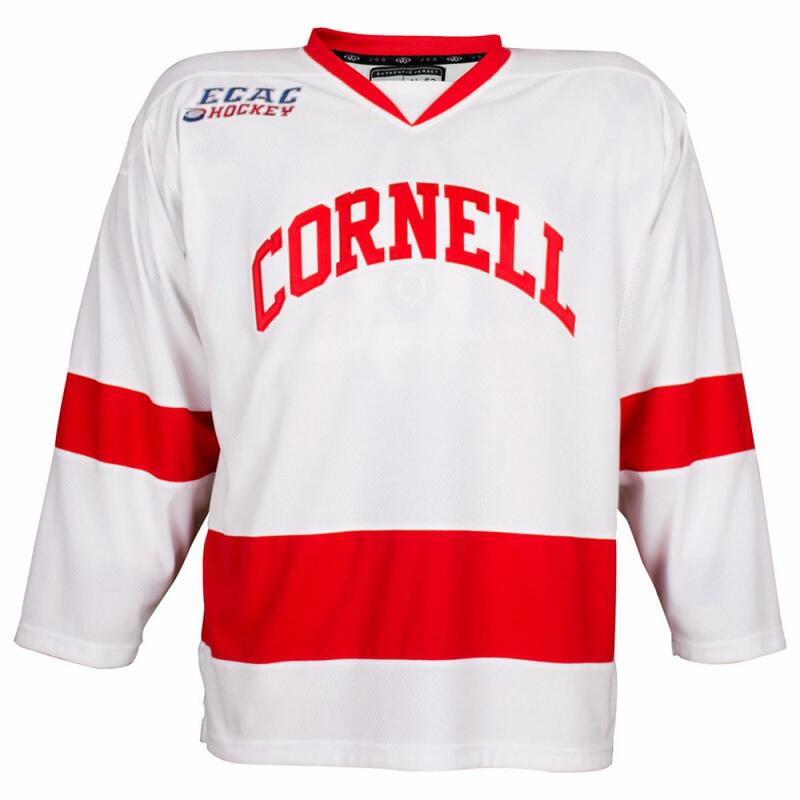 Cornell is embroidered on the front in red with the ECAC Hockey logo to match team jerseys. 100% Polyester with mesh inserts on the sides.